International Biomass Conference & Expo is being held at the Cobb Galleria Centre in Atlanta, Georgia held on April 16-18, 2018. 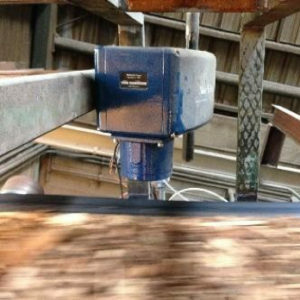 Moisture content is a critical parameter for wood fuel biomass. It is vital to the correct operation of biomass boilers and for the assessment of a load of fuel. Most wood fuel boilers are designed to operate with fuel of moisture content of a limited range. Feeding fuel that is outside this tolerated range the boiler will either result in inefficiency, leading to increased emissions, or error the control system and fail to function at all. It is very important knowing what is the correct moisture content range you should be obtaining. All purchasing of wood fuel should be based by weight. In this practice the moisture content is critical to knowing how much you are paying for your energy. The higher the moisture content of incoming fuel results in overpaying for wood fuel. Due to this very importance MoistTech has many installations located at truck dumps, incoming fuel conveyors and reclaiming systems. Moisture measurement and control is a crucial aspect in the bioenergy application. MoistTech’s new IR3000 Moisture Sensor allows you to do instant, non-contact, continuous moisture measurement. Our YouTube channel is a great place to find videos of our sensor installations and applications – check them out here!